Signup for our newsletter to get notified about sales and new wines. 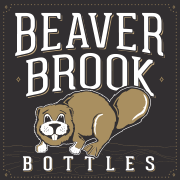 Beaver Brook Bottles sources the best wines from all over the country, we find the hard to find and the best to find for you. From amazing Californian Reds to the finest Washington Whites and everything in between. are you looking for a wine? If you’re looking for a rare or hard to find wine, we probably have it. Give us a call to see what’s in stock.